It would be recalled that in early March this year President Julius Maada Bio paid a strategic visit to the World Bank top management team during which he articulated his Government’s agenda and engaged the Bank’s Management in a dialogue where he showcased tremendous achievements the Government has made in the first year of his Presidency. At the meetings, the President reiterated his undiluted commitment to push ahead with the reform agenda by raising domestic revenue, streamlining expenditures to ensure value for money and fight corruption. Following President Bio’s fruitful discussions with the Bank’s top management, the Bank committed to scaling up resources in the tune of over US$300 million in the next few months. 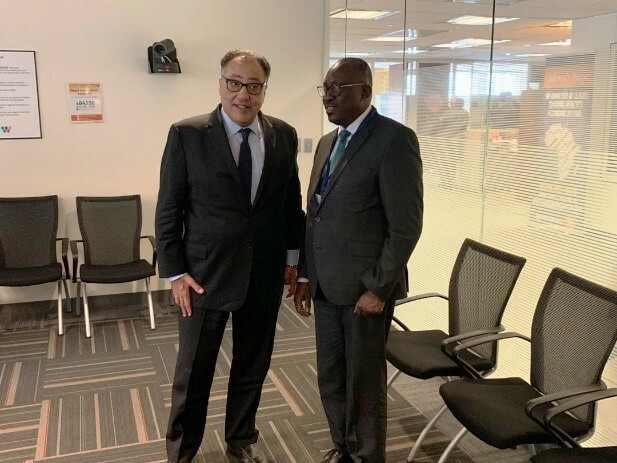 The whooping financial deal announcement was delivered to the Minister of Finance, Jacob Jusu Saffa by the Bank’s Regional Vice President, Dr. Hafez Ghanem who confirmed that the Bank will approve US$230 million dollars against June 30 this year. Dr. Ghanem said that top management of the Bank are happy with the progress the Government has made in few months in governance and that they as a development financing institution, they stand ready to support the reforms and actions taken to provide efficient and effective management of the economy. The Management also recognized the bold steps taken by Government in the fight against corruption and the conduct of an unbiased technical audit; the findings, which have sent shockwaves in the nerves of the global community. 1) SCADEP-$30 million, 2) supplemental financing to Energy Utility Project-$50m to improve on Freetown T&D network, 3) Social Safety Net for NACSAC-$30.0 million,4) Urban Mobility Project-$50.0 million, and 5) Free Quality Education Programme-$70.0 million; all totalling $230 million. The Bank has also made another commitment to provide another set of operations starting July this year which is worth nearly US$400 million under IDA 19. Recently, the World Bank disbursed US$40 million grant to Government as budget support; the largest in economic management history of the republic. Funds disbursed is boosting the Bank of Sierra Leone’s international reserve stimulating market confidence in the foreign exchange market. The World Bank has also responded to President Bio’s request during his visit to scale up the 2019/2020 Budget support of at least $100.0 million; which will all be grant disbursement. 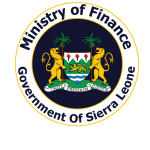 The Minister of Finance Jacob Jusu Saffa expressed thanks and appreciation on behalf of the Government to the Bank and reiterated the government’s commitment to work with partners to change the narrative of Sierra Leone. Minister Saffa assured the Bank of a judicious use of the said monies as the New Direction believes in transparency and accountability and that all project resources will be monitored by close oversight by the Ministry of Finance. Therefore, he emphasized the Government commitments to strengthening to the Integrated Project Fiduciary Unit so the development partners’ resources can be reported and account for on their use consistent with international standards. The recent responses of Sierra Leone’s Development partners have is a demonstration of the fact that the New Directions is changing the landscape of Sierra Leone. The Finance Minister has already been invited to discuss at several fora and with eminent panels during the Spring Meetings on topic issues that relate to jobs and economic transformation. For instance he’s a panellist at a special seminar organized by the Multilateral Investment Guarantee Agency (MIGA) of the World Bank. He is expected to speak on the topic: Driving Private Investment to a fragile Setting. How you can de-risk fragile environment to attract private investments. Minister Saffa will be live to discuss the efforts Government is making to attract private investment in Sierra Leone.